The staff at Triangle Cross Ranch are all committed to one goal, and that is helping every young man reach his full potential to lead a healthy productive life. Our young adult transitions life skill program is headed by gifted individuals whose main objective is to guide troubled teens to the right path through positive behavior improvement, developing a sound work ethic, character building through “Real Life Experiences” and life enriching activities. Jerry’s long resume shows the tenacity and hard work of a Wyoming cowboy. Jerry has worn many hats over the years, from a college instructor to a boxing coach. 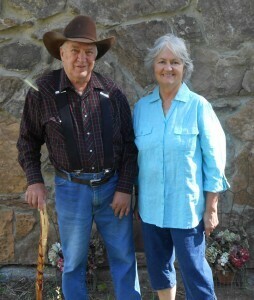 He has owned and operated five different businesses and has been a Wyoming rancher for nearly forty years. Michael Morso was raised in Chicago, Illinois and moved to Clark, Wyoming in 1998, where he first met the Schneider family. After having lived and worked on the Schneider ranch for 3 years, Michael developed many occupational skills that enabled him to fund his educational pursuits: he worked as a welder/fabricator for several years before he received a Bachelor’s Degree in English Literature from the University of Montana in 2006. Shortly after receiving his degree, Michael began working as an aerial welder and a communications tower climber while he was applying for Graduate school. He has traveled all over the country erecting cell towers and became a crew foreman where he was exposed to very serious drug addictions and alcoholism among many of his co-workers. It was in this experience that Michael first developed an interest in counseling addicts and in trying to help others repair damaged family relationships. After 6 years of working in such a rugged industry, Michael felt a vocational pull to begin helping struggling teens and contacted his former friend and mentor, Jerry Schneider. Michael began working for Jerry Schneider in 2011, helping him develop a new program orientation for Triangle Cross Ranch Youth Ranch. 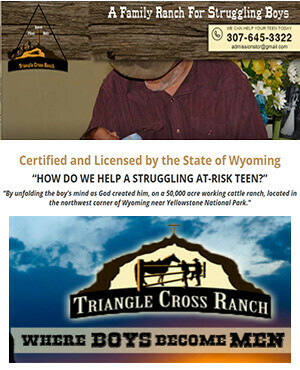 The two men decided to open and develop another youth program, Triangle Cross Boy’s Ranch, which focuses more on recovery-oriented principles and individualized service plans to ensure permanent behavioral changes within the youths they encounter. Through Michael and Jerry’s collaboration, Triangle Cross Boy’s Ranch has become a highly unique and effective program that offers students a chance to reach their potential by promoting their “global growth” in the emotional, behavioral, intellectual, and spiritual areas of their lives. Michael claims that his educational background, which had a strong theoretical focus, has given him many tools and critical approaches that enables him to help the boys he mentors process their experiences. As a mentor, some of Michael’s greatest strengths include his ability to offer struggling teens insight into the destructive realities their at-risk behavior is causing, as well as to help parents begin to understand and to forgive their son. Michael’s goal is to help, not only the struggling teen experience a lasting change, but to promote a healthy re-integration of the struggling teen back into their family’s home. 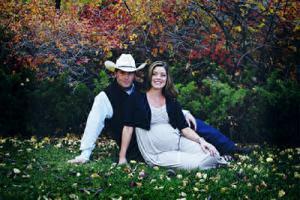 Michael and his wife, Amanda, live on the ranch with their son, Miles. Michael is currently pursuing certificates in addiction counseling and works one-on-one with each student at Triangle Cross Boy’s Ranch.